I had such a blast putting together the Grizzly Uke kit a few years back, that I thought I would try my hand at a guitar. Having always admired the iconic Fender Telecaster, i ordered myself the Tele’ kit from Grizzly for $129. 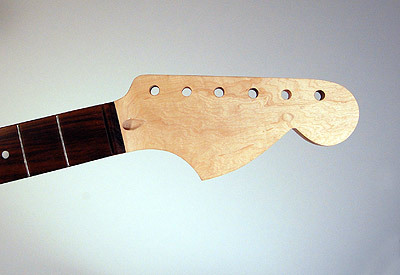 If you hanker for a Telecaster kit, you are not limited to Grizzly. 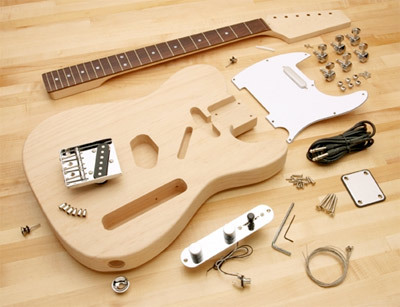 There is also a tele kit made by Saga. I considered both kits, but ultimately chose the Grizzly over the Saga for a couple of reasons. 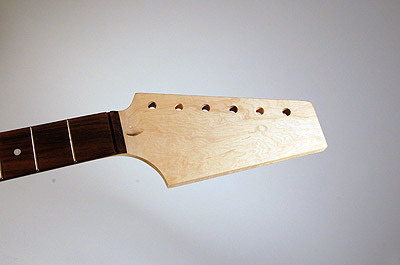 The Grizzly has an alder body, while the Saga is basswood. Secondly, the bridge that comes with the Saga is not suitable for a string-through-body setup, while the grizzly is. Well, the parts look great. I checked out the Saga kit at a guitar shop before I ordered this one, and I have to say the Grizzly looks superior. 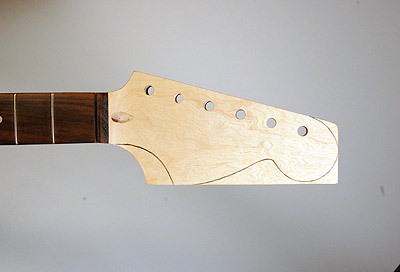 This thing should make for a pretty nice guitar. Who knows how the pickups will perform, but I’m not a serious player, I’m sure it will sound twang-a-rific to me. While i was looking around at Telecasters, I came across the most stunning Deluxe American Telecaster, and my direction was set. 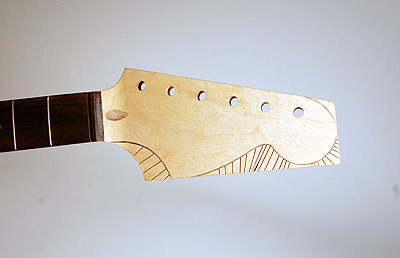 Check out this Flickr set to get an idea of the finish that I am going for. And really, I think that 90% of the work is going to go into achieving the finish. Assembly and set-up are trivial compared to the finish work. So, I also placed an order to Stewart-Macdonald for some white plastic edge-binding, and a can each of Vintage Amber and Cherry Red Nitro Lacquer spray cans. I can source the clear lacquer locally. Aside from getting a nice looking polished cherryburst lacquer finish, the most challenging part will be installing an edge binding. 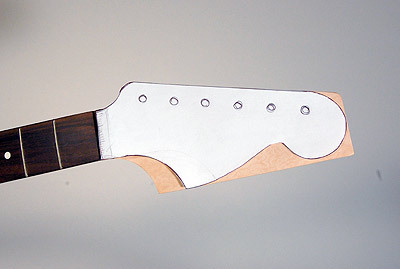 The body comes pre-sanded, with a radius at the edge. In order to get a square edge to install the binding correctly, I will have to plane about 1/8” off the top of the guitar. I then plan to laminate a piece of 1/8” birch ply to the top to regain the thickness, topped by a flame maple veneer. These kits come with a big flag of a blank headstock that allows you to come up with your own design. 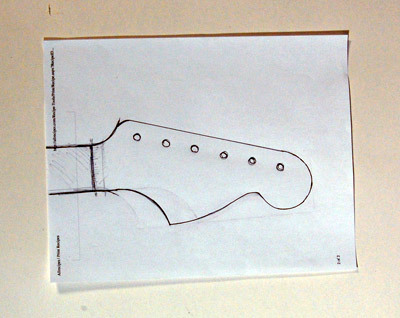 I have never really been a fan of the shrunken, vestigial-looking Telecaster headstock, so I sketched one out that was a little more Strat-like (but a little different) and cut it out on the band saw. Next up: Laminating and binding the top. This entry was posted on Tuesday, March 31st, 2009 at 8:50 pm	and is filed under Guitar, Reviews. You can follow any responses to this entry through the RSS 2.0 feed. Both comments and pings are currently closed.